Please how can I retrieve my certificate for the online course? Hi @Abubakar, you need to login to the platform again and download your certificate. You will find it next to the last model - 5 - Test yourself!. You will be able to download it in case you have reached the minimum score required, otherwise you can take the test again. Hi all, great to be here! Happy Wednesday! 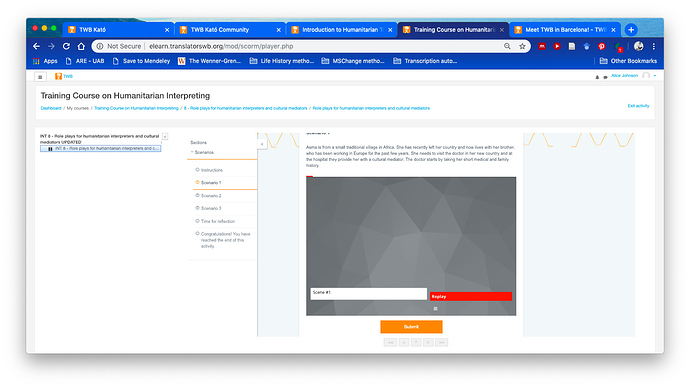 Apologies if this isn’t the right place for this question, but I’m getting an error on one of the other courses - Humanitarian Interpreting. Specifically, in the role play scenarios in Section 8, the first doesn’t load, while the other two do without a problem. Since I can’t answer the first set of questions, I can’t finish that section. Hi @AnaC, I am having the same problem as Linxochitl with the role plays in the Interpreting course, unfortunately. 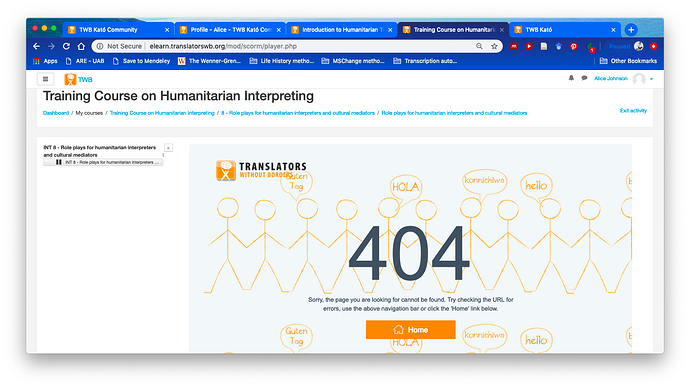 And also in the Training Course on Humanitarian Translation, I am unable to get the final test to load in order to take it. Thanks for any assistance! All the other sections of the course functioned fine, including the other Role Plays and also the end of course “Test Yourself.” So the only thing I have hanging fire is just to complete the Role Play 1. Thanks for any technical assistance! And also in the Training Course on Humanitarian Translation, I am unable to get the final test to load in order to take it. I was able to access the test from my side so I was wondering if you could give me more information so that we can try to understand where the problem is coming from. Hi @AnaC, thanks for the follow up In the end, I was also able to get the final test to load without problems. 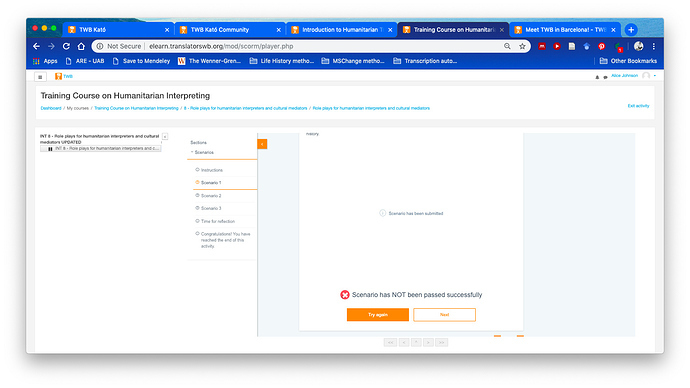 Initially I had not realized that I could click past the non-functioning Role Play 1 and finish the rest of the course. But then I figured it out, did the other Role Plays and final test without problems, so the only thing on my end that I still have trouble with is just the Role Play 1, many thanks! I just want to know if the certificate for the course is sent through the email or downloaded on the course section. I enrolled and completed the course and did not see how to get the certificate :. When you log into the course (here) click on “Training course” under “My courses” on the left, then scroll down to the bottom. Do you see this link to download the certificate? Same problem as several other posters. I finished all sections but can’t do the ‘Test Yourself’ quiz. I keep getting the message saying I needed to enroll, which of course I had already done in order to complete the first four sections. Hi @Linxochitl, apologies for the delay in fixing this issue. Unfortunately, we were unable to retrieve the original content, so we’ve had to remove one of the three scenarios in the roleplay module. However, the course is now useable again. Thank you for taking our courses! Hi @Alice, how are you? I know that you already completed the course, but I just wanted to let you know that it is usable again. 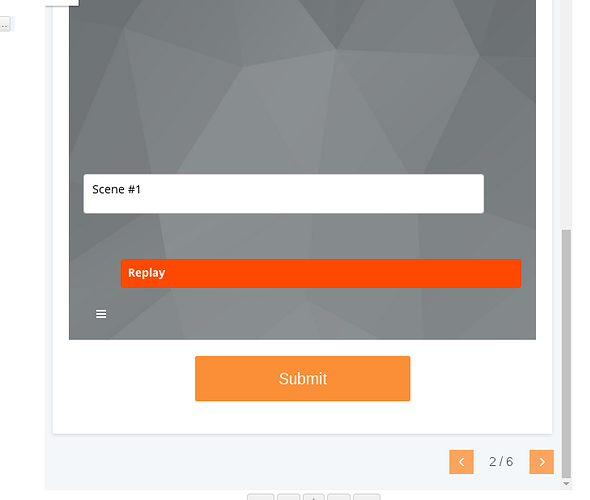 We were unable to retrieve the original content, so we’ve had to remove one of the three scenarios in the roleplay module. Thank you for taking our courses!